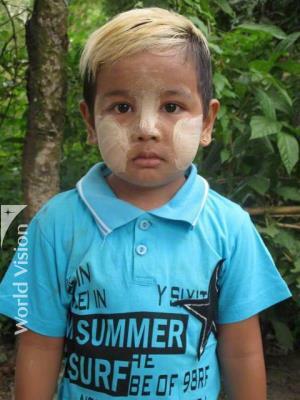 World Vision is a worldwide community development organisation that provides short-term and long-term assistance to 100 million people worldwide. 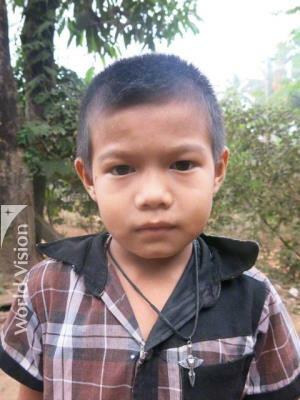 For more than 50 years, World Vision has been engaging people to work towards eliminating poverty and its causes. 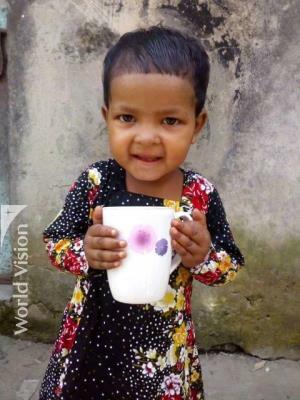 World Vision works with people of all cultures, faiths and genders to achieve transformation the do this through relief and development, policy advocacy and change, collaboration, education about poverty, and emphasis on personal growth, social justice and spiritual values. TechnologyOne Foundation currently sponsors 16 youth predominantly from Myanmar. Our support has reached across the globe since 2007 to support those most in need. My name is Aung. I am a 16-year-old boy from Myanmar. Families here rely on fishing as their main income source. Many struggle to earn a livelihood from their meagre catch. They also face problems such as child trafficking, child labour and HIV and AIDS. The majority of parents are simply too poor to send their children to school. Health is a key concern, with diseases such as respiratory infections, malaria and diarrhoea affecting many children. 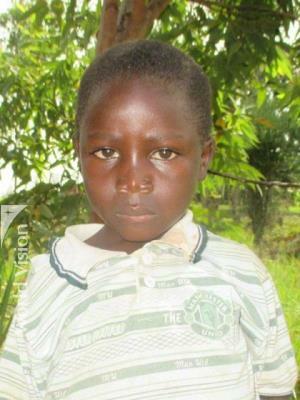 The number of orphans is also on the rise as a result of parents dying of AIDS-related diseases. My name is Chit. 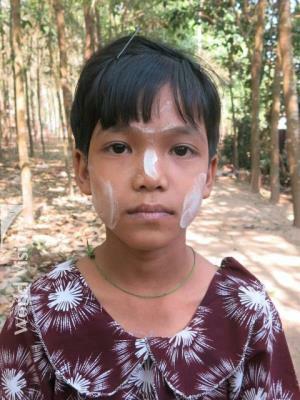 I am a 14-year-old girl from Myanmar. My name is Thuzar. 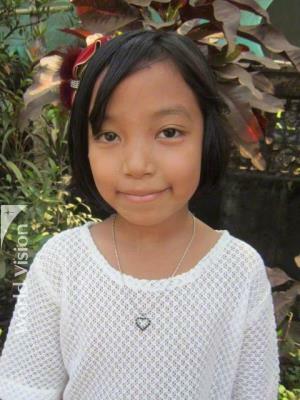 I am a 11-year-old girl from Myanmar. My name is Shahin. I am a 17-year-old girl from India. This is a fast growing urban area with a large number of slums. People come to live in these slums as they move to the city in search of work. They live in very poor conditions, characterised by a lack of drinking water and inadequate sanitation. Children are often sick from water-borne diseases or undernourished and underweight because of insufficient food. Many children are not educated and are forced to work at city rubbish dumps because of their family's poor economic situation. Child marriages are common and women's rights are often not respected. My name is Hla. 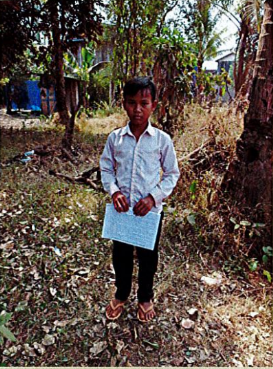 I am a 13-year-old boy from Myanmar. This is a semi-rural area of southern Myanmar, about 40km from the capital. The area has a hot climate and about 47,000 people live here. Most people are farmers, but they lack the skills and tools to grow enough food so malnutrition is common. Lack of clean water and poor hygiene help to spread illnesses and there are no health centres nearby. Many parents cannot afford education and those children who do attend must travel far to reach school. My name is Htet. 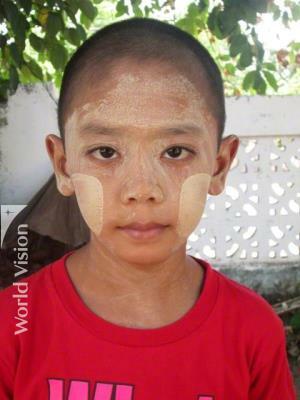 I am a 6-year-old boy from Myanmar. My name is Nay. 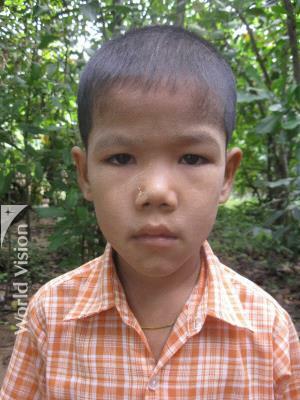 I am a 12-year-old boy from Myanmar. My name is Sekai. I am a 17-year-old girl from Zimbabwe. High inflation, increasing poverty and high unemployment makes life very difficult for families here. Drought and poor harvests have continued for a number of years, leaving most households malnourished. Staple food crops such as maize are not growing well, and cotton crops fetch very low prices, leading to diminishing incomes. HIV and AIDS-related deaths are high, increasing the number of vulnerable and orphaned children and posing one of the biggest challenges for the community. Increasing numbers of households are adopting orphans but the elderly in particular are heavily burdened by the care and cost involved. My name is Fabiola. I am a 17-year-old girl from Rwanda. Very low literacy levels are the result of few, inaccessible schools. Classes are overcrowded and teachers are poorly trained. Hilly, infertile soils result in poor crops and a lack of food and money. Families can often afford only one meal per day. The single community health centre has no doctors on staff and just one bed. The centre treats many cases of malaria and malnutrition, and cares for community members living with HIV and AIDS. Many people continue to suffer debilitating physical and psychological effects of the past civil war. My name is Nay. I am a 14-year-old girl from Myanmar. My name is Sima. 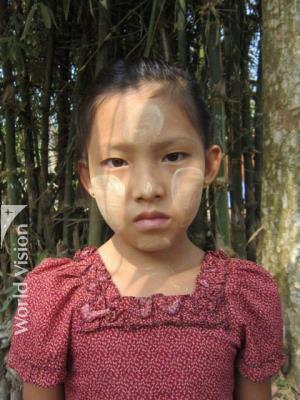 I am a 4-year-old girl from Bangladesh. This is a densely populated area of the southern Bangladeshi city of Chittagong. The climate is hot and humid. Unemployment is high and many families struggle to earn enough income. Dirty water, poor sanitation and lack of hygiene knowledge lead to the spread of illnesses including diarrhoea and skin diseases. Poor diets also contribute to child malnutrition. Most children live far from the nearest school so they don’t attend or drop out early. They are vulnerable to exploitation and abuse, including child labour and early marriage. My name is Tin. I am a 16-year-old boy from Myanmar. My name is David. 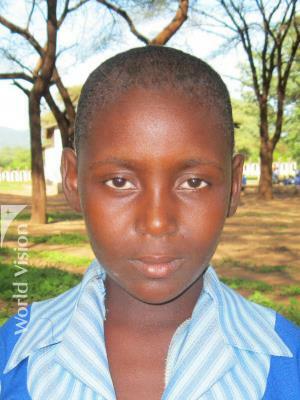 I am a 11-year-old boy from Burundi. This rural area 200km from the capital has a temperate climate and some 28,000 people live here. Most people are farmers, but erratic weather and environmental damage make it hard to grow enough food. Poor nutrition and hygiene and limited access to clean water leave children vulnerable to disease. HIV and AIDS is also a concern, but the health system is weak, with limited qualified staff and equipment. There aren't enough pre-schools and schools and many parents don't see education as important, so absenteeism and dropout rates are high. My name is Sai. I am a 14-year-old boy from Myanmar. My name is Aung. 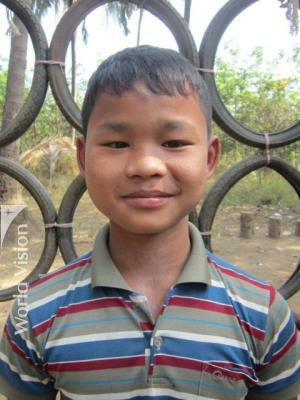 I am a 12-year-old boy from Myanmar. My name is May. I am a 15-year-old girl from Myanmar. Plan International work alongside children, young people, supporters and partners to tackle root causes of the injustices facing girls and the most marginalised children. Programs include food, water, sanitation and hygiene, education and emergency services. Every child has the right to a life free of poverty, discrimination and exploitation. The child sponsorships through Plan International support life-changing projects that are centred around children and their whole community so that all children in that community learn, decide, lead and thrive. Education: Thing attends primary school. It takes less than 30 mins to reach school. Health: According to the family, Thing has been healthy and not suffered from any serious illness. Thing has completed all basic vaccinations. Life in Ratanakiri: Thing’s family lives in a house made of wood with a metal roof and a wooden floor, the family uses wood for cooking, the family’s main source of water is a well, up to 5 mins away, Toilet: the family has no toilet facilities, the nearest health facility is about 30 mins away. YKIP is a Foundation based in Bali, committed to improving the lives of those most in need, by breaking the cycle of poverty through educational support and services. Originally set up to assist in the recovery efforts after the Bali bombing in October 2002 and was expanded in 2004 to include health and education services. 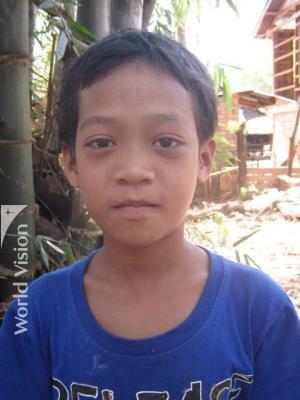 Through the support of the Foundation we support two Students - I Gege Oven Dwiantara and Iwayan Hadi Pratama. We have supported students since 2011. 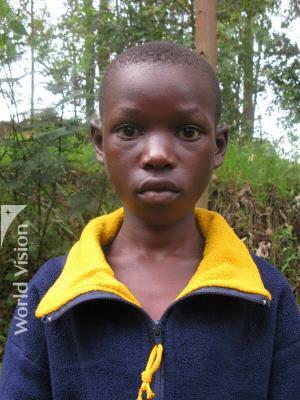 Our support helps our children by paying for uniforms, school supplies, course equipment and school fees.